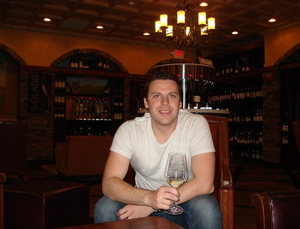 A self-proclaimed wino, my love for wine blossomed 6 years ago after a weekend visit to Virginia’s wine country, a state rich in history, picturesque scenery, and an emerging wine industry. The Wine Room on Park Ave. Growing up in Northern Virginia, I rarely had the opportunity to visit wine country due to my hectic IT job and commute into Washington everyday. Tired of the traffic and yearning for a new challenge, I relocated to Orlando, Florida in 2002. It wasn’t until several years later, that I realized how much I missed Virginia and visiting the local wineries. 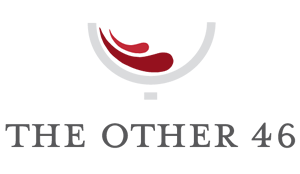 Late 2008, I decided to begin TheOther46.com, a wine blog and website dedicated to all of the states outside of the likes of California, Oregon, Washington, and New York, producing world class wines. I hope I can entertain, educate, and help promote the wineries and people making a difference through each bottle of wine. Wine Trail Traveler is a winery and vineyard virtual visitor center. Many of our winery reviews are of wineries in the other 46, specifically: New Jersey, Pennsylvania, Maryland, Virginia, North Carolina, Ohio, Michigan, Colorado, Texas and Ontario. Well Ontario isn’t in the 46 but they have a great wine industry. I must say I am very happy to come across this site! A mutual friend, Justin Mimbs, directed me here. I will be following and supporting from this day forward!